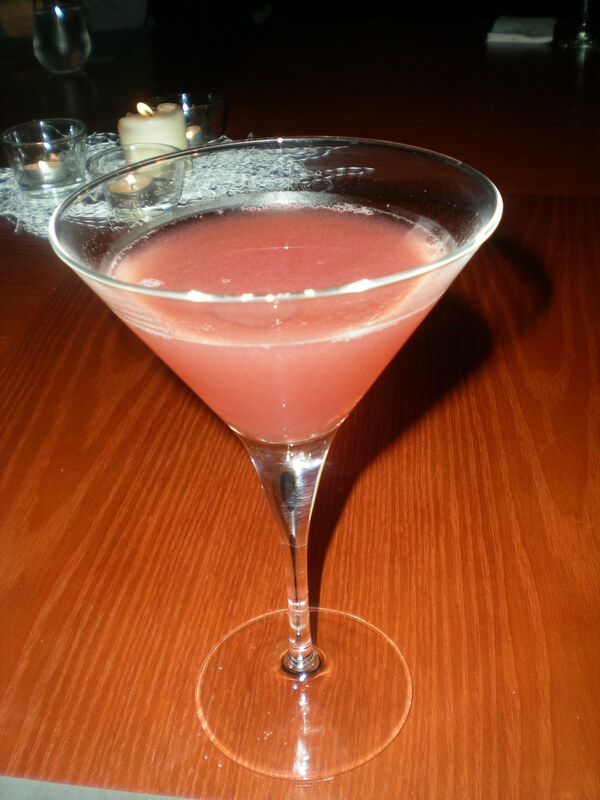 The small, budget conscious Italian eatery, “Mrs. Jones” (named after the jazz hit, naturally) staged a unique competition over the past two months, where entrants were simply asked to email details of their own favorite pasta dish to Mrs. Jones for a chance to win a 5-day stay in a villa on the Amalfi Coast in Italy. They’ll also learn to cook with Master Chefs with cooking lessons taking part throughout the holiday. The best four recipes selected were featured as a special for 2 weeks at a time at Mrs. Jones, with the aim of the best-selling dish in any of these periods winning the trip to Italy. I was one of the lucky four recipes selected, as was my girlfriend Callie’s. As Callie’s was selected first, I heavily promoted her dish to all my friends and went a couple of times to the restaurant myself. However, I was then told my dish had been selected as well- which put us head-to-head! So I kept promoting and going to the restaurant, having had enough Italian in four weeks than in a whole year (well, Italian food is my favorite, so wasn’t too much of a stretch). 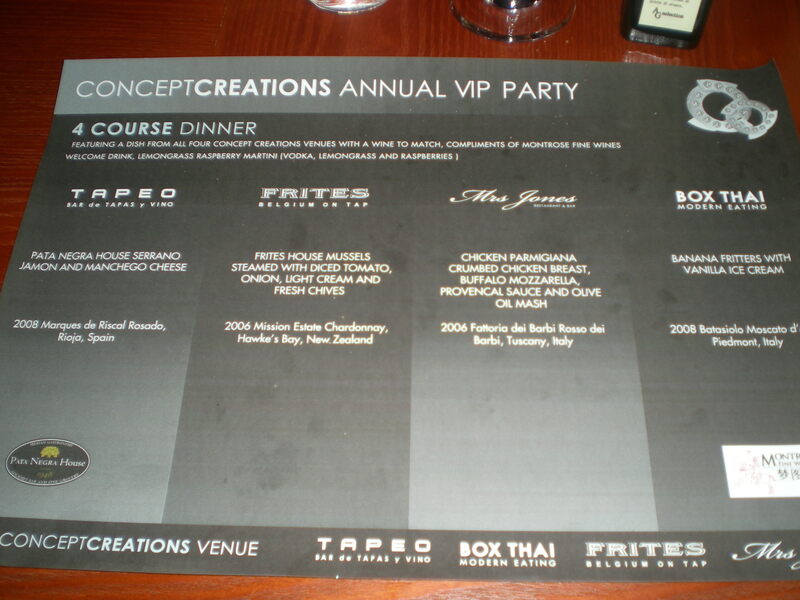 On December 1, 2009, Concept Creations held their Annual VIP Dinner Party, where they also announced the winner of the Mrs. Jones Culinary Competition. The winner was Callie! Hopefully, with the help I did promoting her dish, I may be her lucky guest to accompany her to Amalfi Coast J either way; I am completely shocked and incredibly happy that one of us got to win! 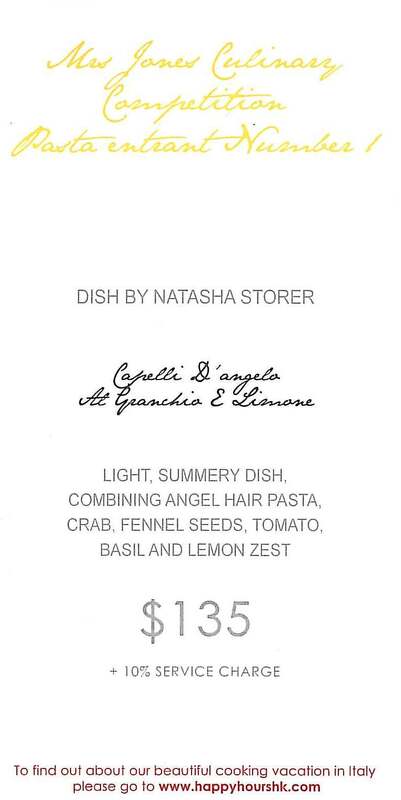 Light, summery dish, combining angel hair pasta, crab, fennel seeds, tomato, basil and lemon zest.